Mattresses often fall to the bottom of the priority list when decorating our homes. When we're young, we spend years sleeping on hand-me-down mattresses brought from our childhood homes or left behind by old roommates. Unlike other home purchases like bedding, sofas, and rugs, a mattress is something you seldom see—which makes the shopping underwhelming. In a sense, shopping for a mattress is a little like shopping for a washer/dryer that will be hidden in a closet—you'll never look at it, but you want it to do the job right. While we spend a large part of our 20s essentially ignoring the importance of a good mattress, there usually comes a breaking point. 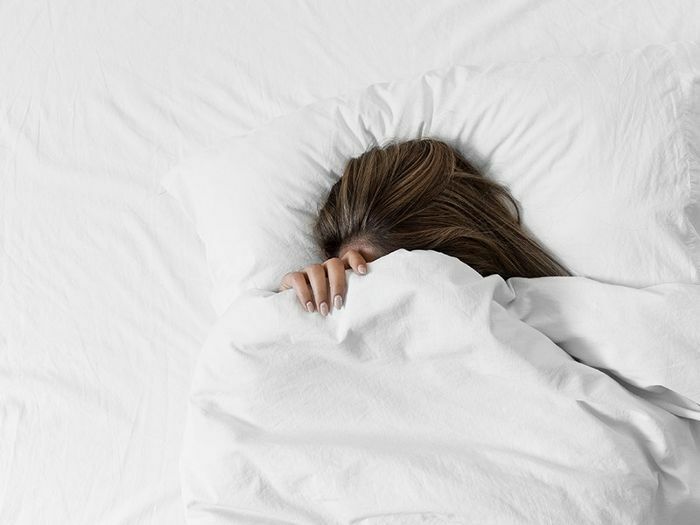 Maybe it's due to intense chronic back pain, or a particularly comfortable night at a five-star hotel, but it usually comes as a revelation: Yes, it is possible to have a good night's sleep and wake up feeling great—and it has more to do with our mattress than waking up sans hangover. 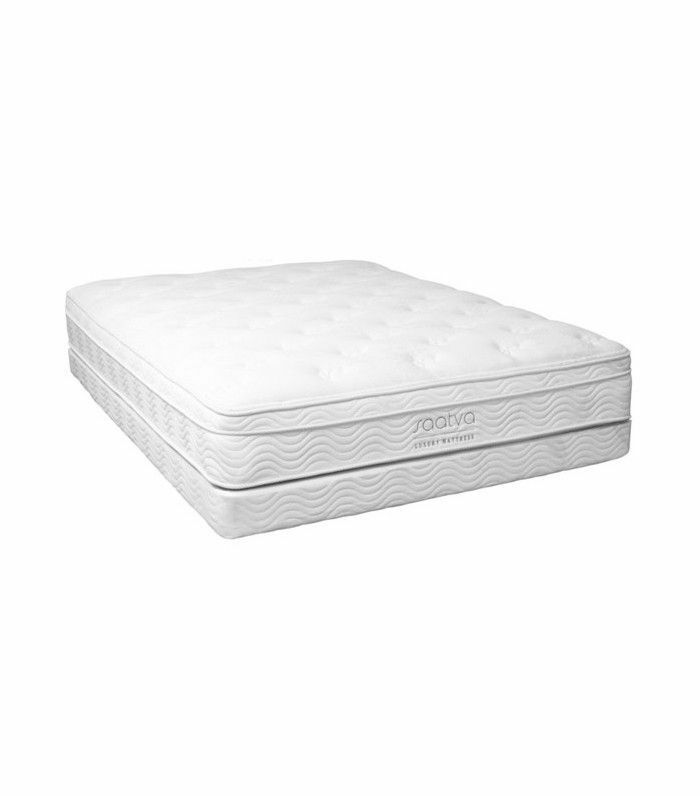 But unlike other large purchases where you can see the quality of the wood or feel the softness of the fabrics, mattresses all come perfectly packaged, their quality securely sealed beyond what eyes can see. A new crop of mattress-in-a-box companies is hoping to change the way we shop for the perfect night's sleep. Instead of awkwardly lying down in large mattress showrooms, we now purchase online—with the promise of easy return if we're not entirely satisfied. To help guide your search for the perfect mattress, our editors tested all the direct-to-consumer mattresses and reviewed every last detail on a scale of one to five. 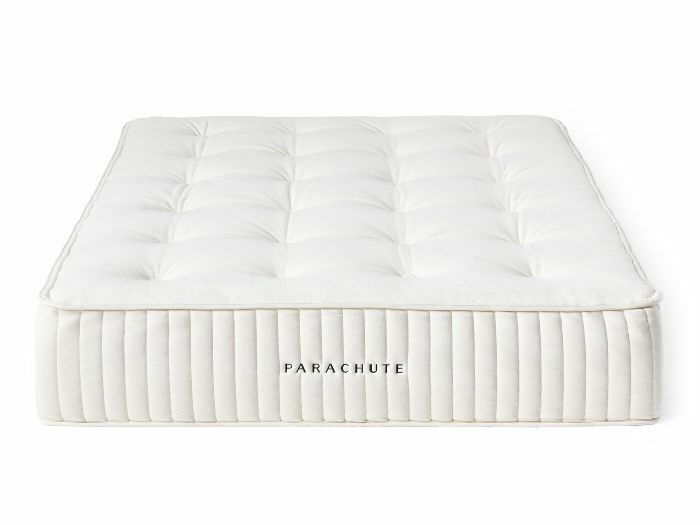 Ready to take the leap to a brand-new mattress? Read each of these in-depth mattress reviews carefully—your best sleep ever awaits. The Softness/Firmness: "The first few nights were like sleeping on the fluffiest cloud. The Delivery: "Having gotten multiple email updates regarding the mattress delivery, I planned to work a half day from home in order to buzz in the UPS worker upon arrival. Given a four-hour delivery window from 2:45 to 6:45 p.m., I left work around two, only to find the two large mattress boxes sitting in my building entryway when I returned home (earlier than I had anticipated). Considering I live in a fifth-floor walk-up and was alone at the time, this was a bit problematic. Thankfully, I enlisted the help of two men who happened to be in the midst of re-tiling my apartment building, who graciously agreed to help me carry the boxes up the 10 flights of stairs. The Ease of Install: "Although the mattress was easy to install, the bed frame assembly was a three-hour process I did not complete until around 11 p.m. after work. I'll accept the blame for not double-checking the website regarding assembly, but I was very surprised how much there was to put together—especially considering that the whole idea behind the mattress is portability and ease of install. That being said, I also probably struggled with this more than the average person would, considering I'm not at all industrious and live in a very small apartment. 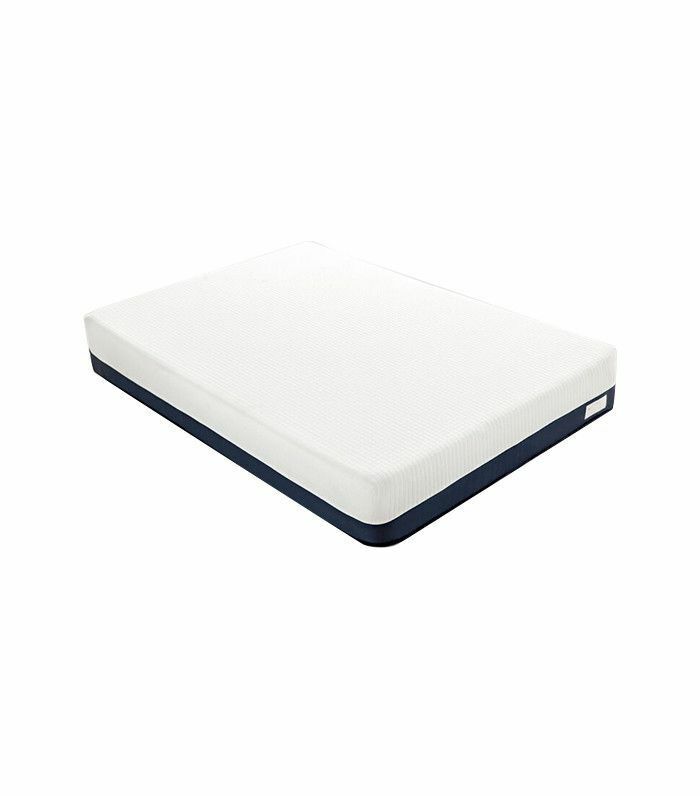 The Support: "Although I have only slept on the mattress for a little under a week now, I do think it provides a good sense of back support and doesn't seem to have too much give to it. As a person who likes a softer mattress/something you can sink into a bit, it's the perfect combination for me. I toss and turn a lot in my sleep, and I can take anywhere from a half hour to two hours to actually fall asleep. But I actually think I fall asleep more quickly on this mattress, because it doesn't have the same bounciness as a regular spring mattress and absorbs my movements throughout the night. 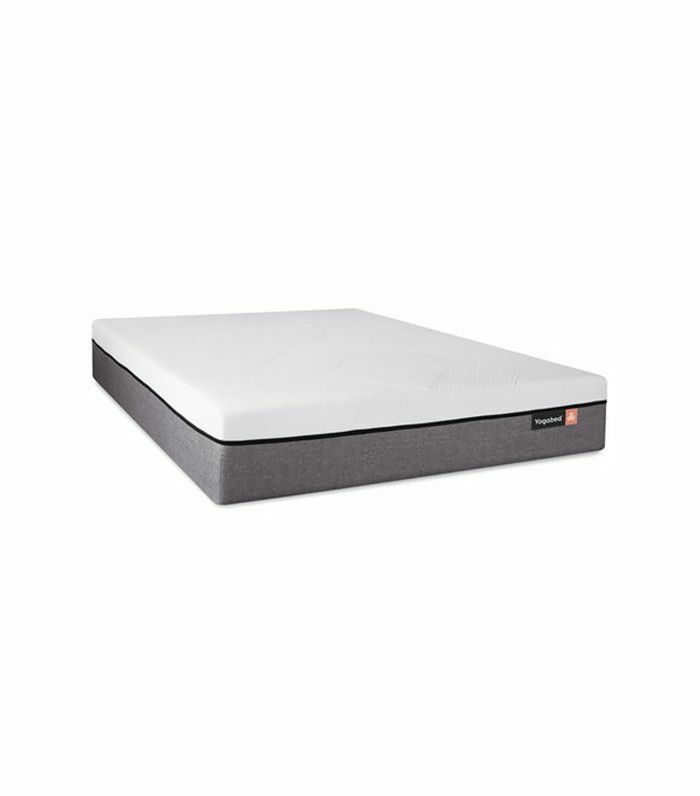 The Support: "I'm not well-versed in mattress jargon, but the memory foam feels pretty supportive. 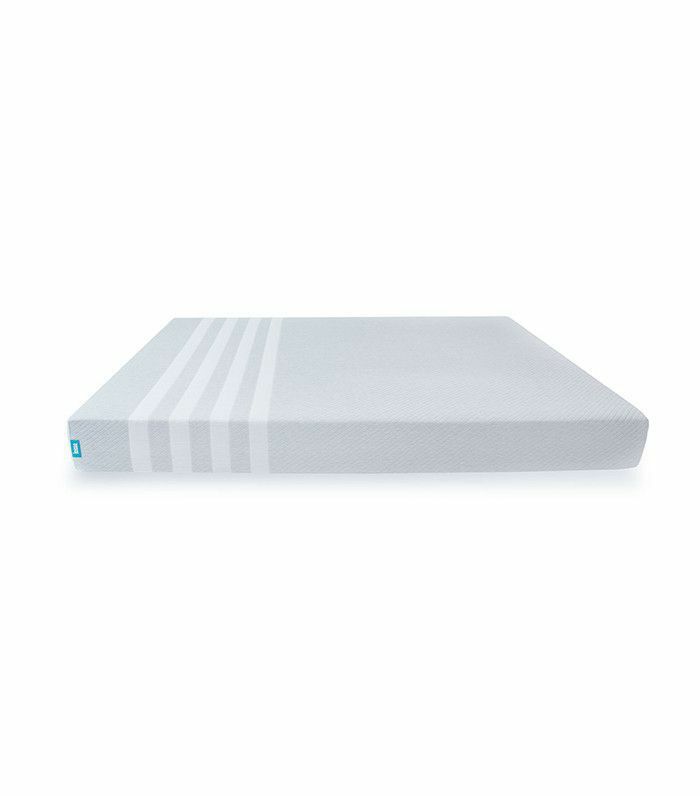 I had a more traditional mattress before, and I don't ever wake up sore or stiff with this one since it adjusts to your body." 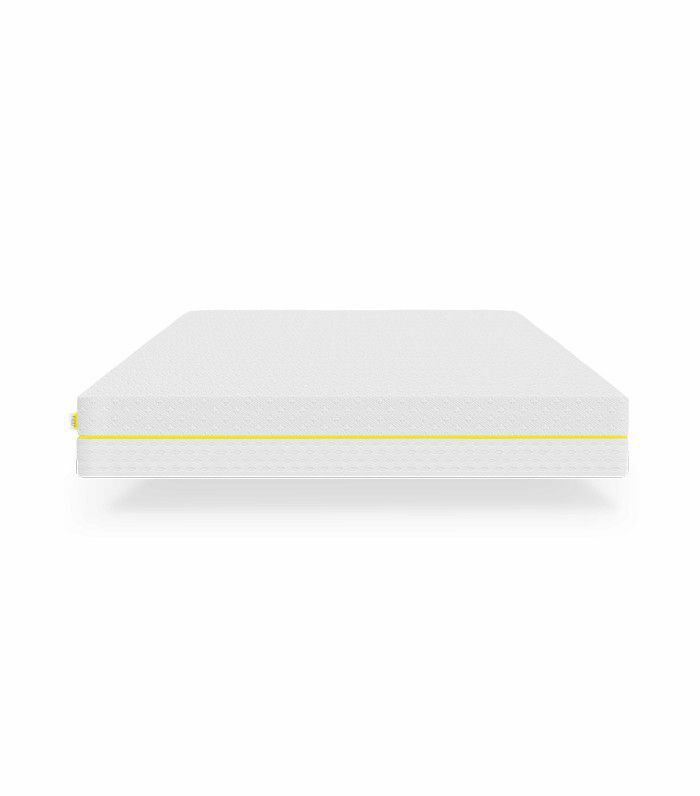 The Price: "The retail price of my custom full-size Helix mattress is $800 and given that one of the three layers is made of Polyurethane, I didn't think this was a great value. However, I'm on board with the micro coil and natural latex layers. 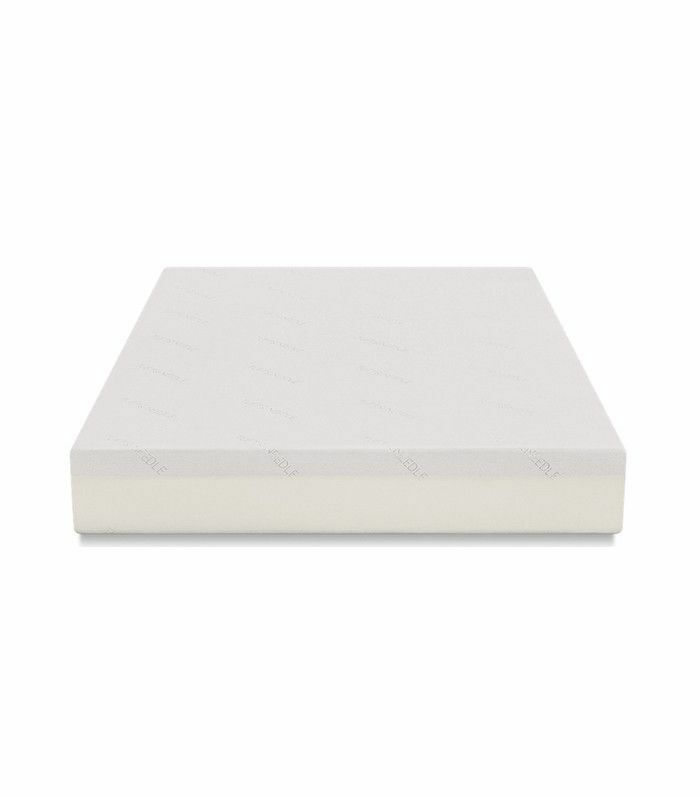 After doing some research, I found that the most toxic part of polyurethane mattress foam is usually the flame-retardant chemical that is required by law. 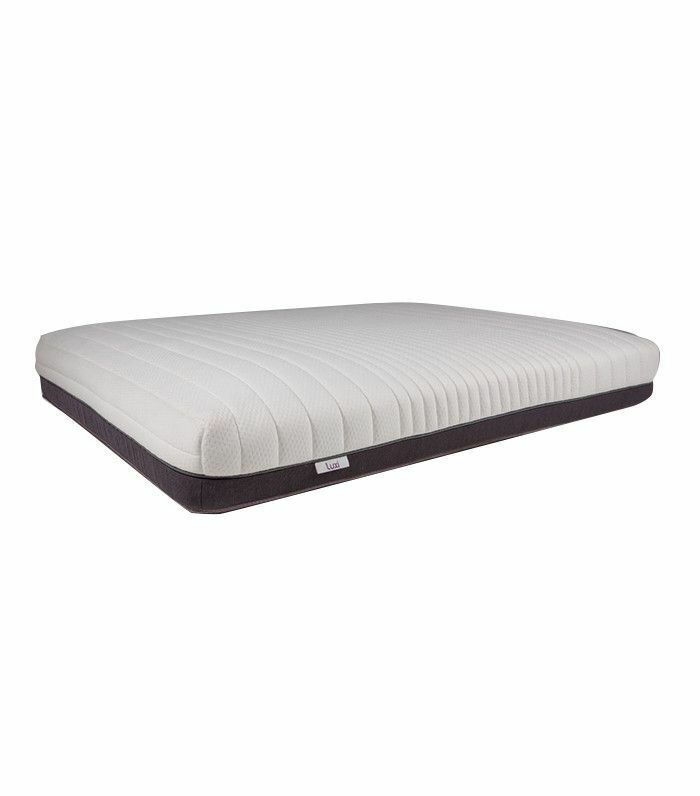 After calling up Helix's customer service line and speaking to a wonderful agent, my mind was eased knowing that the flame-retardant casing around the three-layered mattress contains silica instead of one of the harmful sprays or chemicals I was worried about. The Ease of Install: "The first thing you see as you open the Luxi box is a clever little letter opener and a sheet of instructions that are basically foolproof. They instruct you to unbox the mattress in the same room in which it is going to be used, ideally on the bed itself, and then use the letter opener to slice off the vacuum-sealed plastic covering. Opening it anywhere but on the bed would have been a total disaster, as it's quite heavy and expands very quickly once opened, but luckily, we followed directions and after some minor shifting around, the mattress was in place and ready to go in five minutes flat. The Softness/Firmness: "I lost many minutes during my delivery window watching Luxi's weirdly hypnotic informational video, so I was irrationally excited to unzip the mattress cover and poke around all the weird-shaped foam. It arrives on the "medium" setting, which we both liked when we laid down, so we decided to try out their go-to first. 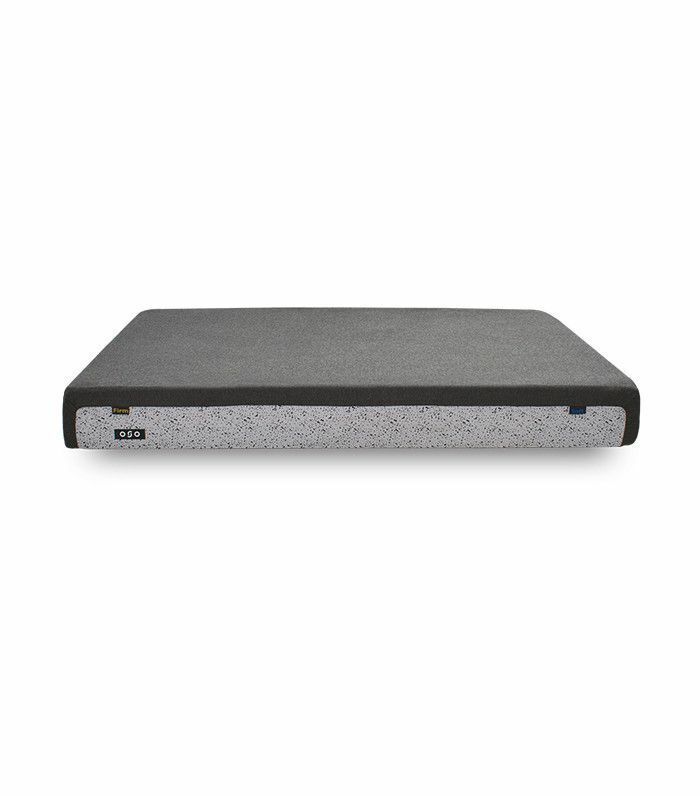 The only thing either I or my partner felt was a downside was that unlike with a more traditionally structured mattress, the edges of the Luxi, and really all memory foam mattresses, sort of collapse when you put weight directly on them. The Support: "My back and hips were plenty sore after a solid ModelFit class in the morning, and I woke up feeling great. 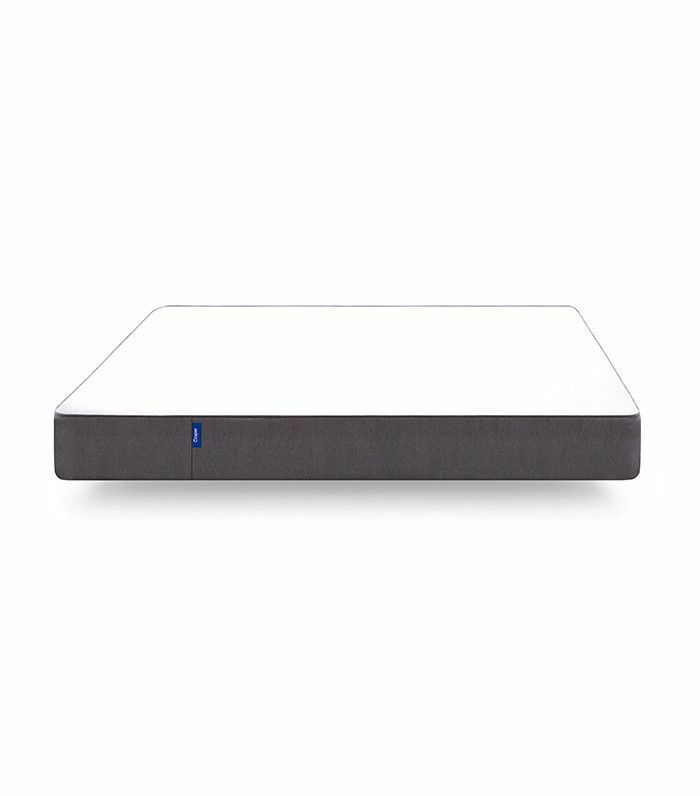 I tend to sleep on my side, and often wake up with one hipbone numb from being pressed into my mattress springs all night; I could definitely feel the benefit of having a little more room to sink in. I was also impressed with how cool the mattress was to sleep on—I was worried something dense enough to support us would hold a lot of heat, but I didn't notice that at all. It wasn't as soft as either of us expected, just really, really comfortable. We're going to keep experimenting with the different settings to see if there is anything better for us, because what could be more fun than making my partner flip parts of our mattress literally every single week for the next month and then making him answer detailed questions first thing in the morning? Very little, I suspect. In short, I cannot say enough about how much this mattress is going to do for my relationship. We moved in together less than a month ago, and I've basically been sleep-deprived ever since—between the kicking and the snoring and getting up in the night, I haven't really been well-rested in weeks. I didn't notice him move or get out of bed once the first night we slept on the Luxi, and apart from a few truly egregious minutes, he was either in a better sleeping position and not snoring, or I was simply too deeply asleep to notice, but it was bliss. The Ease of Install: "So easy. So easy, in fact, that there were only four instructions that were printed on the box itself, no need for a 20-page instruction manual. Each instruction had maybe five words; it was quite impressive. When I first saw the instructions, I thought there was NO WAY installing this thing was actually that easy but it was. The most difficult step was getting the thing out of the very intense plastic wrapping. I plopped it on my box spring, undid the aforementioned wrapping, and immediately it started expanding into the perfect mattress that it is. Next up: Here's a look at the coolest bedrooms on Pinterest. Disclaimer: The products above were sent to MyDomaine for editorial review. This story was originally published on October 9, 2016, and has since been updated.